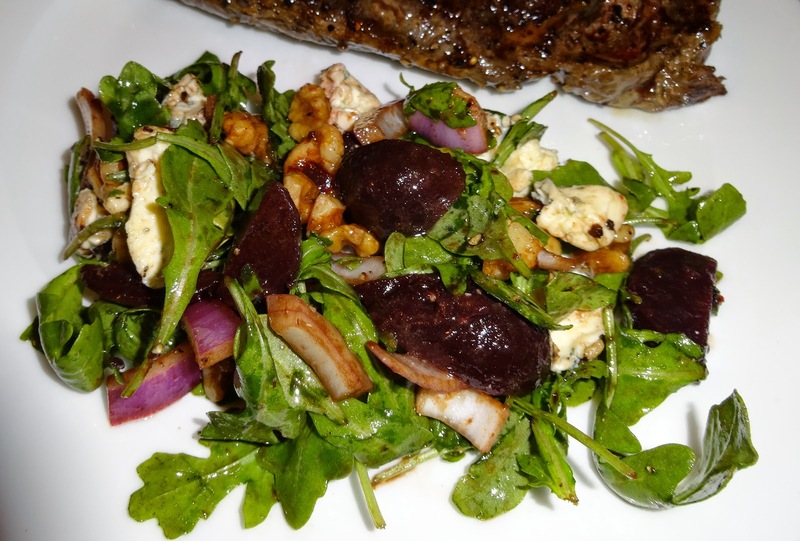 Another of my favourite home salads this is a cafe inspired side dish that goes perfectly with red meat. The owners of Marmolada have several of the most highly rated restaurants in the old town of Krakow but of those I ate at this was my favourite. Like a lot of cuisines from Central and Eastern Europe Polish food is heavy and focuses on meat and pickles. Great for warming up but expect to hunt for green vegetables and salad - sparkling water helps cut through the fat. Its place directly on Rynek Glowny (the stunning Krakow Mediaeval square) makes it expensive by Polish standards but the average Western tourist will find the "lavish" prices somewhat economic. For the most part the USD stays steady at around 3PLN, so divide prices by 3 for translation to USD. I will take dumplings over almost any other food regardless of the culture, so I came to Poland ready for pierogi and lot of them. These were excellent, lightly fried and then oven baked they will remind many of gyoza/pot stickers but with a richer slow cooked meat filling. These were easily the best example I had while in Poland and at less than $7 for a plate served charmingly in its pan this is worth a stop. A well cooked beef tenderloin steak, while you can get this anywhere the creamy rich Polish sauces are worth checking out. Nothing says grey European skies like cold salted herring; my only surprise was that this wasn't for breakfast. Sadly I cannot comment because herring with creamy salads is a course I'll skip. The recipient seemed to enjoy it, if you're into that kind of thing. Goulash is the other dish I love to eat in this part of the world - slow cooked spicey and creamy stew heavy on the paprika and herbs. Try it with knedle (Polish spatzle) or kopytka (Polish gnocchi) for a warm filling comfort meal. Meals are served separately to side dishes, so be aware when ordering that vegetables or starches will need to be ordered separately. This has the advantage in a group meal of being able to mix up side dishes "family style". We were glad to see these and surprised to find them lacking in crackling or oil. After endless Pork you too would be joyed to see plain vegetables. Fried potatoes, golden crispy and well cooked; perfect with a hearty Polish meat dish. Looking for something a bit lighter? Cucumbers are one of the reliably available green sides and almost always served with sour cream. This sour cream was rich and thick, more like a creme fraiche and mixed with fresh dill. Perfect to cut through the heavier dishes. The Polish do good coffee, so stop at the end of the meal for an Espresso. If you've room after the heavy food you should definitely try a local pastry as Krakow is famous for its delicious fruit and nut based desserts. Shown without the ice cream due to the dairy intolerants at the meal. Delicous buttery short crust pastry filled with local apple and spices. They sell these streusel topped pies and slices everywhere, excellent with a strong cup of coffee. We debated for some time about this dish before confirming with the waitress; this was no translation error but indeed a hot cheesecake. Curious we ordered and shared it. A familiar semi sweet ricotta based cheese cake is warmed in the oven and served with chocolate sauce. I can't help but feel this would have been better warm and stuffed with fruit like raisins or cherries. There is some debate on Yelp and TripAdvisor that this restaurant deserves its fame and (contextually) hefty price tag. Most of the arguments seem to be about poor table placement. Like many restaurants in Stare Miesto this is housed in a Mediaeval (14th Century AD) building and thus space can be a little cramped. We had a large group and so fared very well, I would suggest if you are alone or in a pair that you are specific about your seating requirements. The service was good, the food excellent and the atmosphere lovely. The delightful building of antiquity is furnished with homey feeling Polish furnishings and there was a delightful live music duo throughout our dinner. Bonus points for playing Satie, Nyman and Tiersen throughout the meal I couldn't have picked a better play list if I tried.